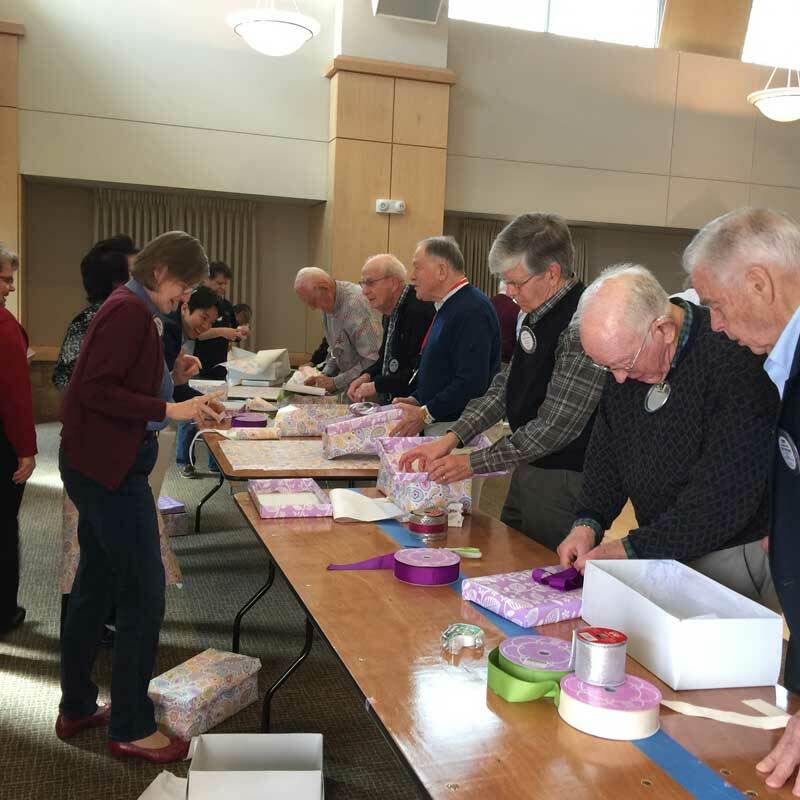 The Shoebox Project for Shelters - Shoeboxes of little luxuries for survivors of domestic violence to let them know they are not forgotten, and that we care. 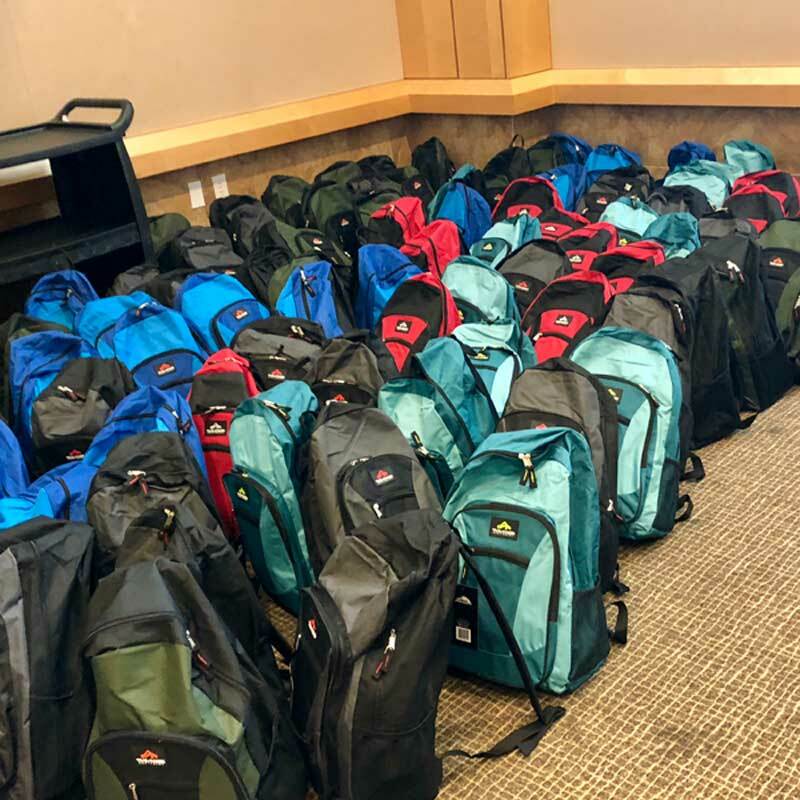 Foster Youth Backpacks - Back-to-school backpacks filled with supplies for the school year, specifically tailored for older foster youth who are less likely to be recipients of community support and donation. Dispersed through our partnering non-profit, Family and Children Services of Silicon Valley. 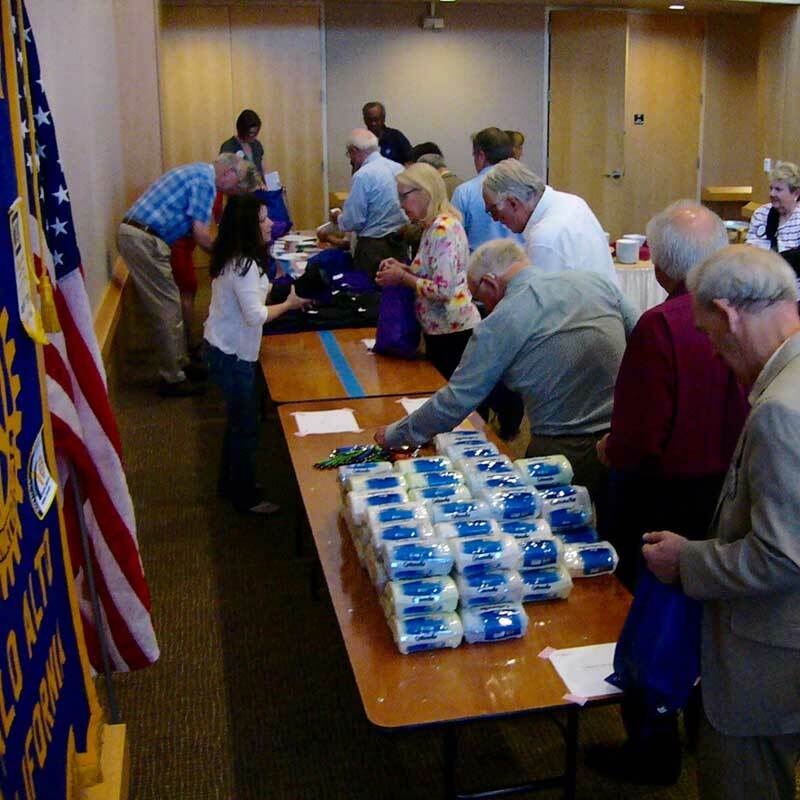 Hygiene Kits - Day packs for those in transitional housing packed with clothes, hygiene products, and other essentials to help those working on getting back on their feet after drug or alcohol addiction, and/or incarceration. Dispersed through our partnering non-profit, Family and Children Services of Silicon Valley. 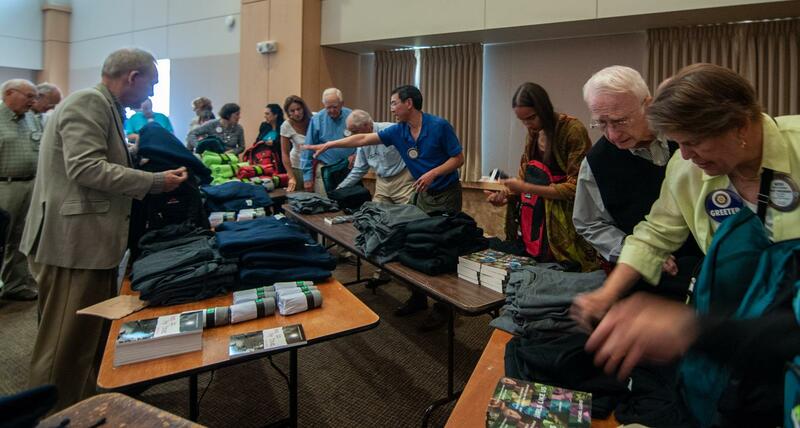 The Grateful Garment Project - Backpacks containing a change of clothes, bathroom necessities, snacks, and comfort items for victims of human sexual trafficking and survivors of sexual assault. 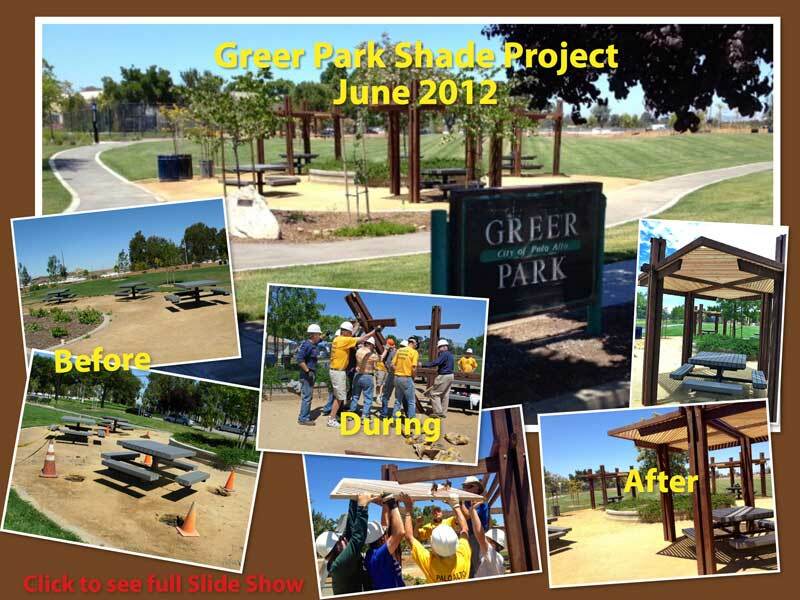 Shade Structures at Greer Park - Palo Alto Rotary built 6 shade structures to cover existing picnic tables at Greer Park. This project was inspired by Annette Glanckopf who felt the tables were not being used since they were in the sun. 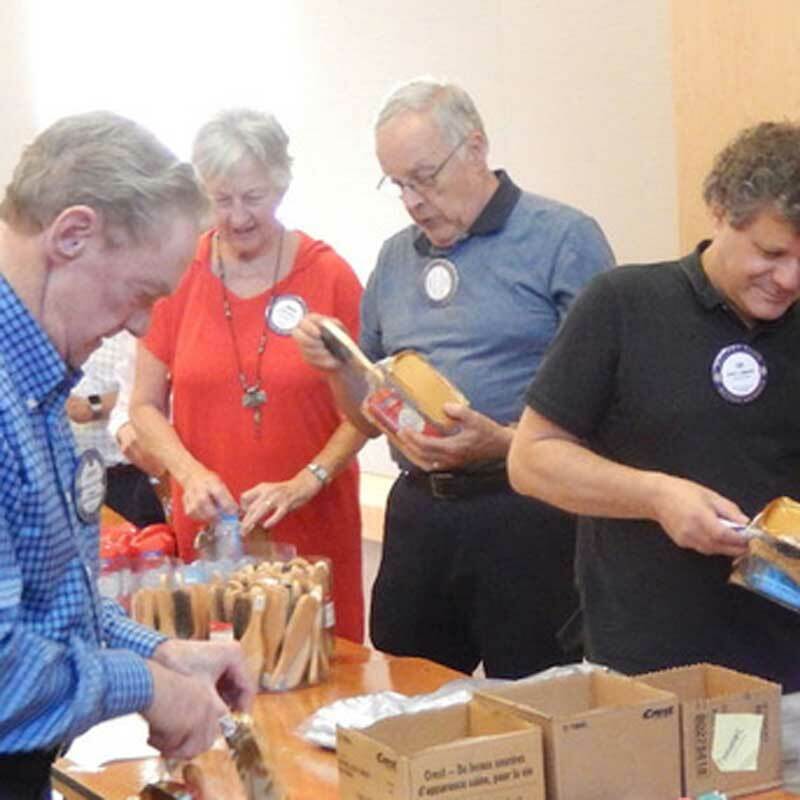 Rotarian and architect Bill Busse designed the structures and built them in his workshop over several weeks with the assistance of other Rotarians. The project installation was done over 2 weekends and had over 50 Rotarians participating in the project. Landscaping and installing play structure at Hoover Park - Neighborhood kids were disappointed when their local play structure was destroyed by arson fire. Palo Alto Rotary, in partnership with the City of Palo Alto, came to rescue and installed a state-of-the-art play structure. 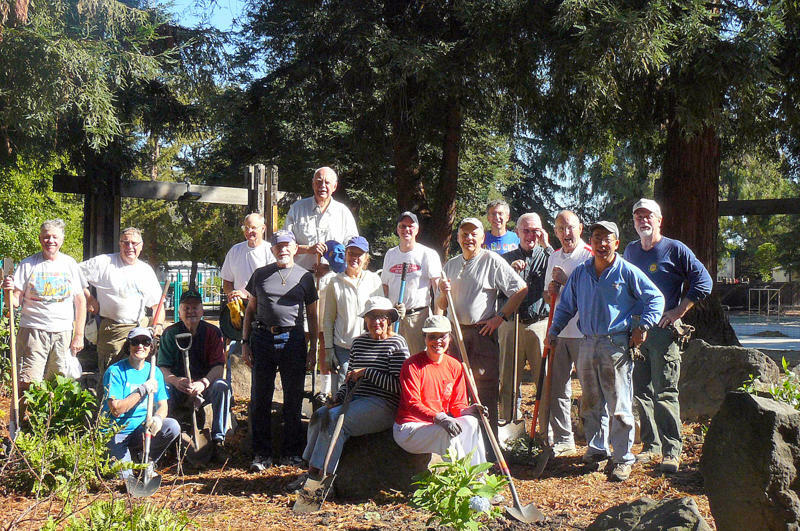 On a different weekend, over two dozen Rotarians planted new flowers and bushes to liven up the park. 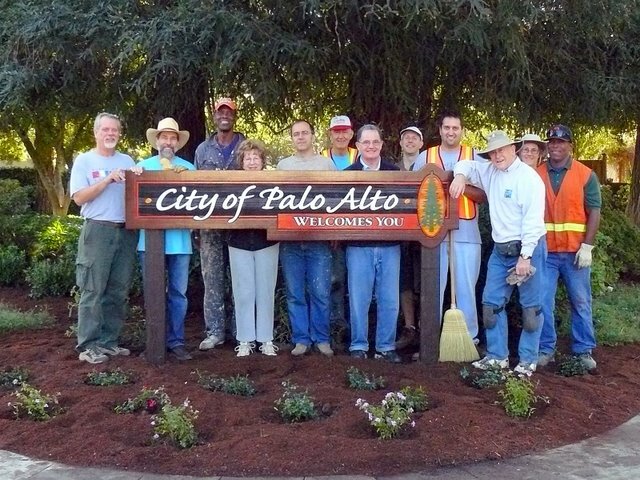 Welcome to Palo Alto - Working with City staff, Palo Alto Rotary re-landscaped two entrances to Palo Alto. One at Middlefield Road entering from Menlo Park and the "triangle" at the north junction of Alma and Camino Real. Palo Alto Rotary maintained this landscaping until it grew to maturity and was taken over by the City.